Are you tired of navigating cluttered countertops every morning while trying to make a cup of coffee? Have you had to shuffle around mugs, coffee beans, a coffee machine, a toaster, and every other piece of kitchen clutter at 6:30 AM when all you want to do is get back in bed? More Space Place can help you get your clutter organized and make you a coffee station so good you’ll wonder if you’re still dreaming. The first thing your coffee station needs is adequate storage space. Luckily, More Space Place specializes in creating efficient storage systems. We can create a custom pantry, designed just for your coffee storage needs. Everything from your coffee filters to your sugar should have its own spot within your pantry. When everything is a disorganized mess, doing anything becomes a chore. Building out the proper storage space, for any sized kitchen, is a vital step in having everything organized. Your entire coffee station should be compact and located in the perfect spot in your kitchen. This spot could be anywhere, from an empty kitchen cabinet to your pantry, but it should be self-contained. Segmenting off your coffee station from the rest of your everyday kitchen supplies will make it easy to keep the area organized. Even if things are organized, it can be impossible to find what you want if things are hidden behind each other. Making sure that things are organized right is vital to any good pantry. 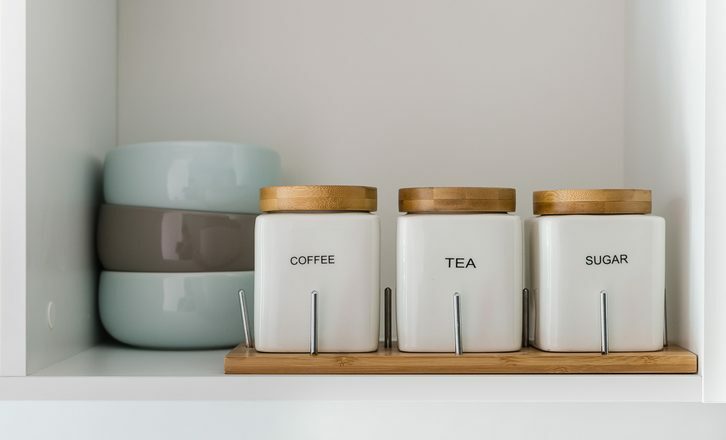 Use pullout shelving to make it easy to find the coffee mug you’re looking for, baskets to store your assortment of coffee beans and teas, glass jars to store your sugar, and adjustable shelving to store your coffee maker. Make sure to allocate countertop space so you can put the final touches on your morning cup of coffee. Give yourself room to pour the coffee and stir in all of the sugar and creamer you like. Keeping this small space clean, even when everything else falls into a mid-week chaos, is key to making your mornings go smoothly. Creating space for the simple things is an easy way to enjoy your morning routine. Think about what you use every morning. 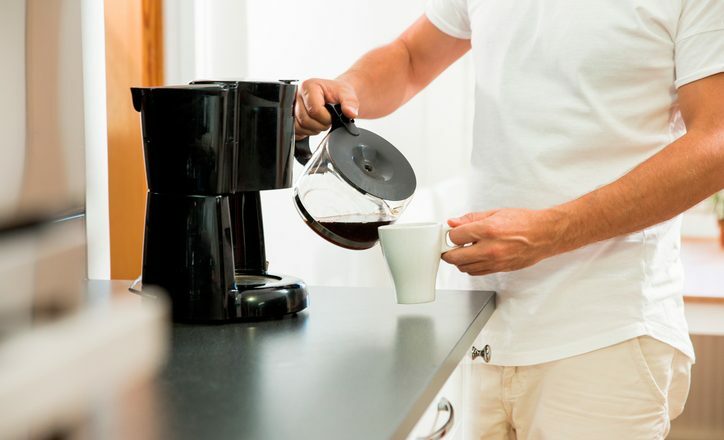 Do you keep your coffee next to your coffee maker? Is your bread next to your toaster? Or are you running around the kitchen from shelf to appliance? Efficiently using every inch of your kitchen can be a realistic goal. Optimizing the area for your needs will make it incredibly functional, and make your morning routine faster. If the space isn’t personalized for you and your needs, what’s the point of having it? Beyond customizing the area with More Space Place, think about little details that will make you happy. Creating the perfect coffee station is an easy way to start your morning off right every day. Contact More Space Place today to start designing the coffee station of your dreams.